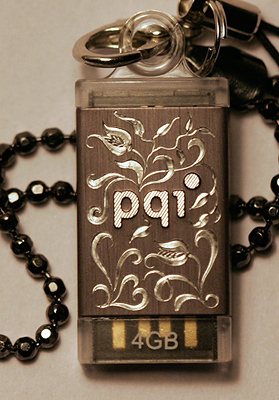 Here are two quick engravings on memory sticks. The engraving style is called ‘piddling’, or if I want to sound expensive, then ‘double bevel’ engraving. 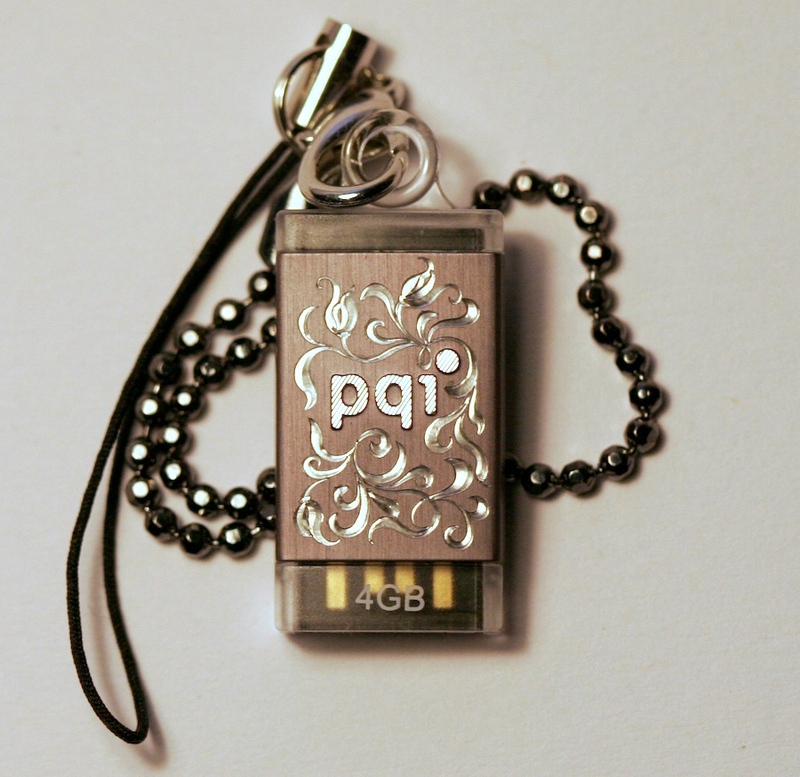 As these memory sticks are made from extremely soft metal, this is the only style that can be done decently on them. Can’t do any fine lines/detail on them. I drew the design on as I started to engrave, so not much preparing was needed. Interesting. I like it! Museumy yet modern.More of the same and differently? Pretty, Quick, Intense. Very nicely done! Would be great for a gift!